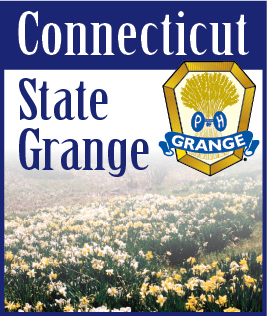 On our www.ctstategrange.org site we’ve continued to update and expand the Grange Scrapbook section. This section includes photos and items of historical significance, photos of past events, and scanned photos / panoramas from as far back as 100 years ago. These photos were scanned in to create digital copies. We are continually on the look out for photos. They are added to our Scrapbook so we can share those photos with everyone who visits our CT State Grange website. Some of the photos we’ve received in the past four years came to us faded, scratched and in varying degrees of damage. We have the ability of taking damaged photos we’ve received and perform digital photo restoration. Some of the restorations performed to-date have included Grange events, panoramas, and old-fashioned photography. Restoring the photos means the details of it are strengthened, which in some cases may bring out important information about not only the foreground of the image, but the background. One of our latest finds was included in a photo collection supplied to us by Janet Haller. This collection included a photograph of an event from 1910 of a Meriden / Wallingford Grange picnic held at Spruce Glenn Falls. This included a group shot of over 200 Grange and family members, a poem and a postcard commemorating the event. If you have a collection of Grange photos (and even newspaper clippings) which you would like us to scan, please contact us (publicrelations@ctstategrange.org) so we can make arrangements for scanning. We would then scan in these photos and return the original photos back to you. Please also include information with the photos so we can accurately add in description to each photo.